Tsh shares how we should react When Your Day Is Interrupted. Jessica tells us how we can Learn to Like Cooking. Ann touches us once again with A Secret to Happy. I made Cheryl’s Baked Spaghetti Pie for supper on Monday night and it was delicious! I like that it’s a meal you can prepare ahead of time and store in the freezer, too. I’ll definitely be making it again. Oh, and the Peanut Butter Pie I made yesterday? Such an easy and tasty recipe! [Note to my sister: make this soon.] My one change to the recipe was that I only folded in about three-fourths of an 8-ounce container of the whipped topping. (I didn’t want to lose too much of the peanut butter taste.) I didn’t spread any whipped topping on top of the pie, but served it with fresh whipped cream instead. 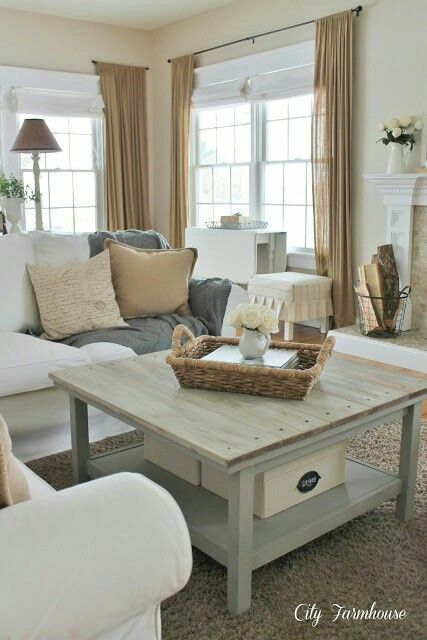 And from Pinterest this week….Here’s a room I could live in! Ha, ha – the cleaning up is my "un-favorite" part of cooking, too!! I'm just now getting to read these links, but I enjoyed them, especially Tsh's.